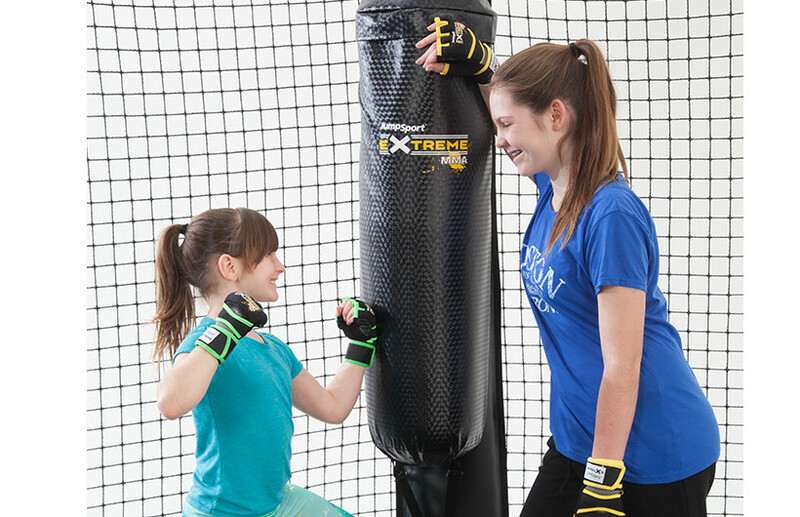 Give your kids a new way to get physically fit & strong! Kick your trampoline into a new training arena! Bladder balls are filled by the user to the hardness/weight that is right for your family! 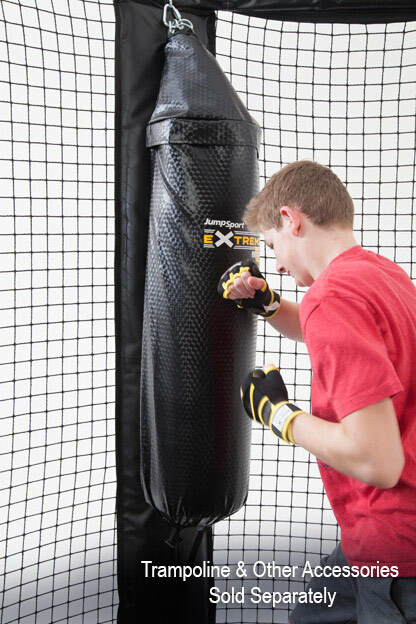 The weight of the JumpSport MMA Training Bag is determined by the volume of water added by the user. 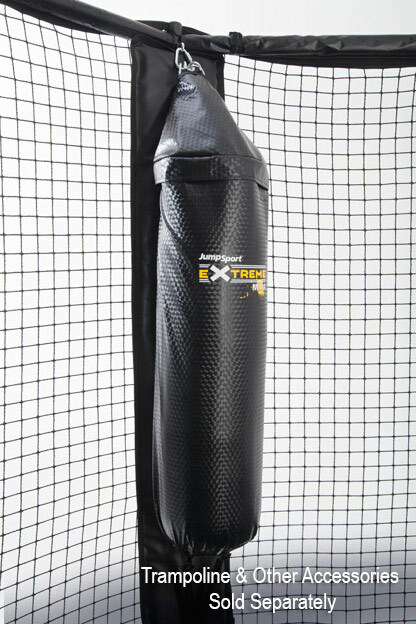 Give your kids a new twist on the trampoline with our NEW training bag! Hours of enjoyment and physical training for the budding extreme athlete in every family or for little ones trying out martial arts. Can be installed on any 12’ or 14’ JumpSport Classic or AlleyOOP Trampoline with the addition of our Octagon Trampoline Kit!